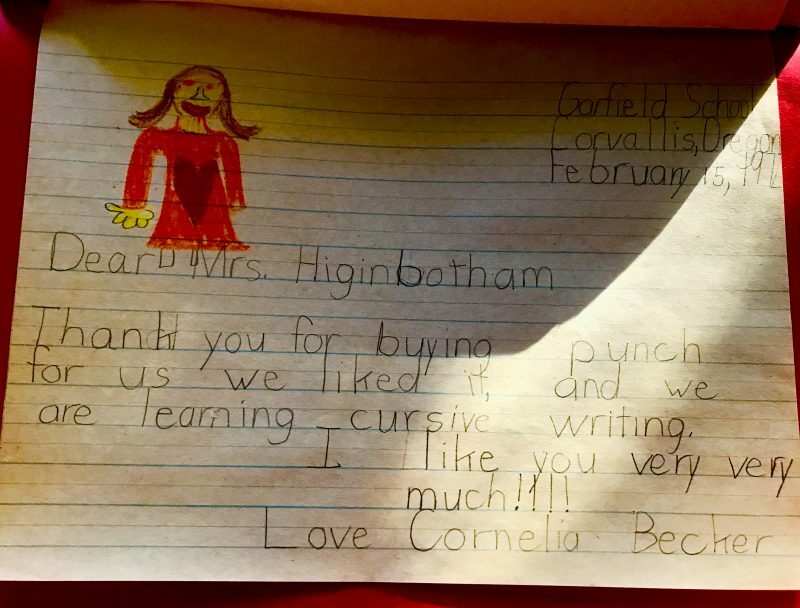 When I turned 8-years-old in Corvallis, Oregon, I received 25 cents and a card for my birthday from my friend Jeanie’s Grandma Higgins, and my German mom had me write a thank you note to her. Three times. To get my handwriting just right. When I gave Grandma Higgins the thank you card, the entire family gushed over how amazing my handwriting was. “Wow, what a neatly written thank you card. 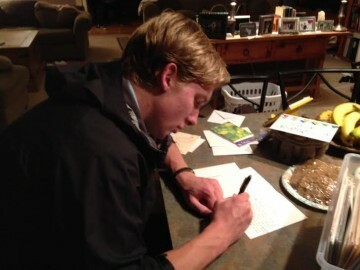 And, what a nice thing, that you wrote a thank you note,” I heard them say. If they only knew how many rewrites it took. And, I’ll leave it to individual opinion, as to whether that was overkill to have me rewrite the thank you card three times till the handwriting was perfect. But, to the point: I began learning the art of gratefulness through my parents’ insistence that I write thank you notes from an early age. When someone did something kind to me or when someone gave me a gift, my mom sat me down with pen and paper to write a note of gratitude, and it continued into my life as an adult. Each Christmas, I was required to pen thank you notes to family and friends to acknowledge their thoughtful gift; same for birthdays, graduations and so on. Now, as a mom of five children, I have learned that the way to raise grateful kids is by doing this one thing: Requiring them from an early age to write thank you cards. Yes, raising children with grateful spirits begins with the practice of having them acknowledge and appreciate what they have been given. There’s something about going through the physical act of writing a thankful reflection on what someone has done for us that begins a shift inside. A shift towards thankfulness. A movement towards humility. An acknowledgement that all we have has been given to us. Bottom line: It starts a habit and becomes a part of who they are. It’s all in the end about raising thankful and grateful kids who become thankful and grateful adults. 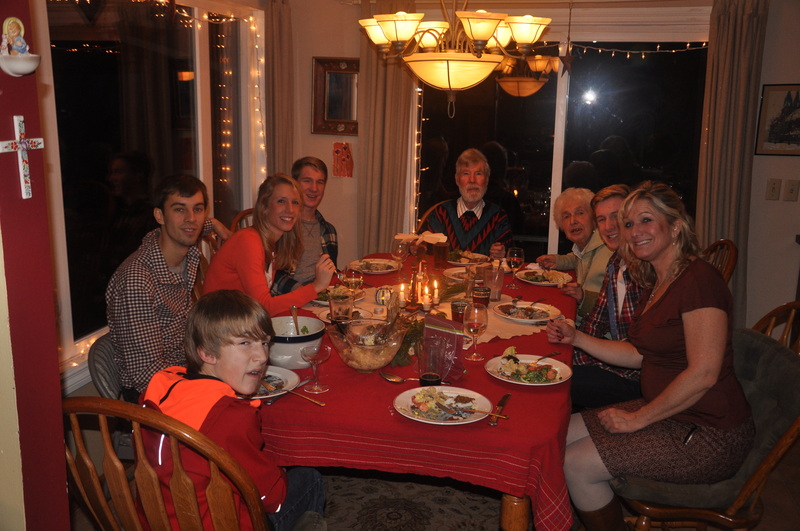 Giving thanks matters. It matters to me as a mom, and it matters to others. 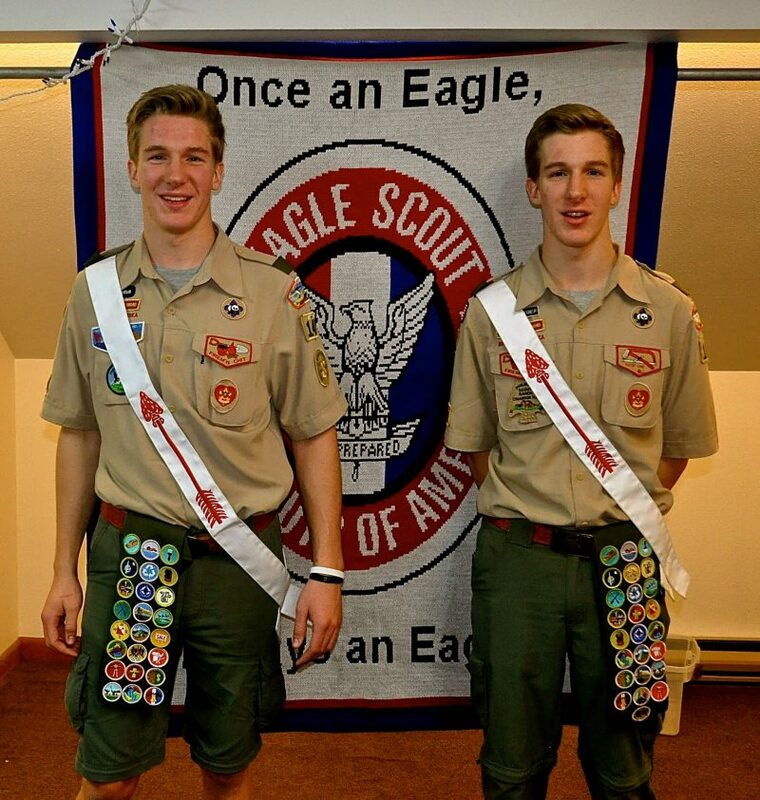 When my twins were finalizing their Eagle Scout requirements as well as applying to college, they were sending out requests for letters of recommendation to a variety of mentors, youth group leaders, teachers and pastors. One teacher had made the comment to his entire class, that he has written so many letters of recommendation for students over the years, but that he never hears from them about how they did. Did they make it into the school they were applying to? Did they get that scholarship? Did the letter of recommendation make a difference? That teacher’s remark regarding the lack of follow up from students after writing letters of recommendations impacted my twins. 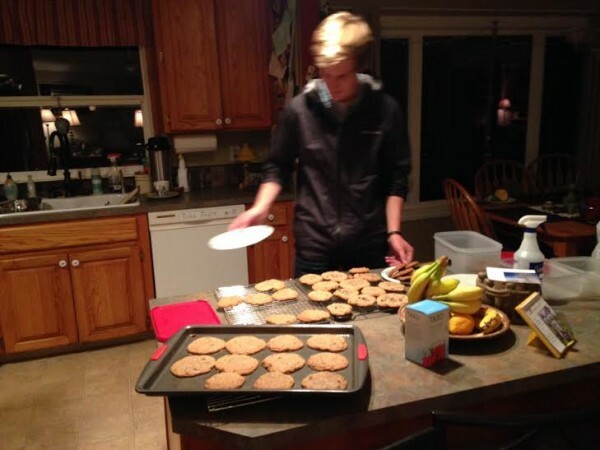 Here’s how I knew: Out of the blue one evening, one of my twins asked me to help him make chocolate chip cookies to give to a few teachers at school who were helping him with his college applications and who were writing letters of recommendation. He wanted to bake them cookies as a gesture of thanks. He was also looking for our family’s stash of thank you notes so he could pen notes of gratitude to put alongside the homemade goodies. I loved seeing the effort my son was making baking those cookies and crafting his words carefully to show how thankful he was. My other twin son was also making a significant effort to show his gratitude toward those who were assisting him during this university prep season. I saw Starbucks gift cards and thank you notes on his dresser that were addressed to certain teachers and mentors. Of course, not only are written thank you cards important, but also verbal everyday gratitude is crucial. It’s important to talk to our children about saying thank you for little things. For the ride home from a friend’s parent. For someone holding the door open. For a waitress bringing a drink to the table. Gratefulness is taught and it needs a reminder. And it is becomes a learned art when it is required. As a parent, I can generally tell which kids have been taught to say thank you and to be appreciative: the kids who offer the verbal thank you’s when you give them a ride home and the ones who say thank you when you offer them treats in your home and the ones who say thank you after you give them a gift. And, those kids tend to be the ones who will send thank you notes for bigger things, where a thank you note would be most appreciated. With Thanksgiving here soon and Christmas around the corner, it’s a perfect time to begin to introduce the art of the Thank You card. If it is something you haven’t done with your kids in the past, you can always begin now. Buy some thank you cards to have around the house, allow your kids to see you writing thank you cards, buy nice postage stamps, and remind them of the importance of writing those cards when someone does something nice for them. Thank you cards will be noticed. Just ask Grandma Higgins.